Anya Slatter has been the Minister at the Centre for Spiritual Living, Bournemouth, since 2004. She is a French national, a family person, a spiritual teacher and an inspiring speaker with a dynamic message of love and transformation. Her brand of spirituality is practical, uplifting and empowering. Her background has always been in a people environment. She has considerable skills in dealing with emotions and is a trained practitioner of NLP (Neuro-Linguistic Programming). Rev Anya shares her many years of experience in guiding people towards reaching their full potential. 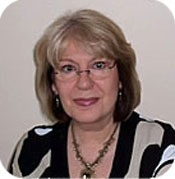 She offers workshops and teaches accredited CSL courses. Anya also works with clients on a one-to-one basis. These Personal Spiritual Coaching sessions are designed for those wishing to explore their journey and purpose, heal their life, empower themselves and reach their dreams and goals. 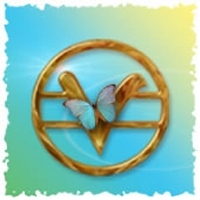 Rev Anya is passionate about her work and loves being of service assisting people to connect with their own spirituality and transform their every day reality. It is not what happened in your past or even your present circumstances that determines the quality of your life but rather your thoughts, attitudes, beliefs and what you focus on. Rev Anya is currently serving as CSL Regional Support Coordinator (RSC) for Europe and the Rest of the World, (except Spanish speaking countries), and is part of the recently formed Global Services team.